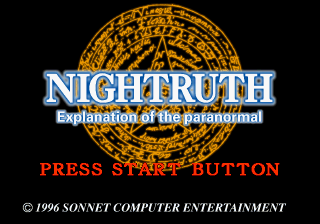 Nightruth: Yami no Tobira (ナイトゥルース#01 闇の扉) is an adventure game for the Sega Saturn. It was followed by Nightruth: Maria. Main article: Nightruth: Yami no Tobira/Magazine articles. ABS.TXT TXT (Abstract) 533 About this game.